Summer is a natural time for learning about science. Longer days and the freedom from school schedules allow kids the opportunity to explore the world around them in new and exciting ways. In addition, the warm temperatures of summer allow us to perform many experiments outside in the backyard or in a park or beach setting, where we have plenty of room and where clean-up can be easy and quick. Why not make science a part of your family’s summer? Perhaps you can set aside one day a week for outdoor projects—maybe Mad Scientist Monday or Scientific Saturday? Here are a few ideas to help get you started. They are suitable for a wide age range. They get kids outside having fun. They teach real science concepts. If your child utters the dreaded words, “There’s nothing to do,” try responding with “Let’s build a rocket” and enjoy the reaction you get. You are sure to see mixed signs of disbelief, wonder and excitement. Hey, who doesn’t want to build and launch a rocket? Turn the bottle upside down and decorate it with the cone pointing upwards from what was the base and attach fins to the neck of the bottle to create the new base. Use permanent marker to make designs on the body of the rockets as desired. Push the needle through the cork. Since the needle must go all the way through the cork, you might need to trim the cork. Push the cork into the bottle tightly. Find an open outdoor spot away from trees and power lines. Connect the pump to the needle adaptor. If the bottle won’t stand up by itself, adjust the fins to help it balance. You can place the pump on a table if you would like. Have everyone stand well away from rocket as an adult pumps air into the bottle. Although it might look like nothing much is happening, the bottle will suddenly and forcefully take off, so make sure everyone stays back. This experiment shows how a pressure can launch a rocket. As the air is pumped into the bottle, the pressure inside the bottle builds until it is enough to push the cork out of the end of the bottle. When this happens, the water rushes out of the bottle in one direction while the air pressure in the bottle pushes back in the other direction. This combination results in the bottle launching upwards. Ever notice how a little one will closely examine ants in an anthill or the colors and shapes of rocks? Children are natural born investigators. Channel their observation skills with a nature scavenger hunt this summer. The great thing about this activity is that you can repeat it in different locations – beach, camping trip, hiking trails, etc. -- depending on where your travels take you this summer. Depending on your location, make a list of natural objects for each participant to either gather or find. Make copies for each member, adding pictures of the items if there are preschoolers in your group. Try to make your list a mix of items that will be easy to find and some that will take more effort. Here are some ideas for a walk through a park or wooded area to get you started: pinecone, mushroom, feather, wildflower, maple leaf, bird’s nest, spider web. Since you won’t be able to take each item or living thing home with you, think about asking participants to snap a photo or make a quick sketch of those items and note where they spotted them. Equip each person with a bag or a basket to collect their items. Other item for older kids and adults to include in a backpack are: magnifying glass, binoculars, notebooks, colored pencils, plastic sandwich bags and pocket field guides for birds, trees and mammals. You might want to take along sunscreen, insect repellent and hand wipes as well. You can make your scavenger hunt as simple or as detailed as you want. For instance, you can do a sensory list with sounds (crickets, bees, bird calls) or you can organize your list by shapes (cone shaped, star-shaped, square and circular) or by smells and textures. You can even reward participants with small prizes for the most discoveries. Nature scavenger hunts help children (and adults) hone their observation skills. You can learn to identify the differences between flowers, trees and insects. You can delve more deeply into the beautiful intricacies and patterns of nature. Much of what we create in the kitchen involves the use of science concepts. For a summer experiment that is fun and refreshing, try making your own vanilla ice cream with your family. Stir the first four ingredients together in a bowl and then pour the mixture into the freezer bag. Place closed bag inside a gallon-size bag that is filled with the ice and salt. Shake the bag vigorously on and off over the course of five minutes or so and notice how the mixture changes. Let it sit for a few minutes. What happens? Ice cream is a colloid, an emulsion in which two substances are suspended within each other rather than being chemically bonded together. Discuss that many ice creams have an emulsifier to prevent the fat molecules from separating from the rest of the ice cream. 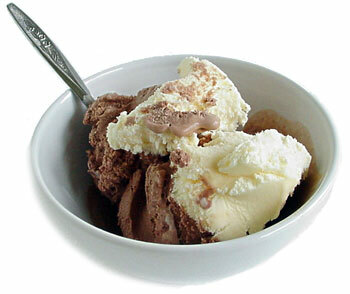 Emulsifiers also make the texture of the ice cream smoother. Many commercial ice creams also use a stabilizer, such as gelatin or guar gum, to help hold air into the ice cream and to give it a light texture. Also discuss how salt lowers the freezing point of water. When the ice cream has thickened, give everyone a spoon and enjoy your experiment. 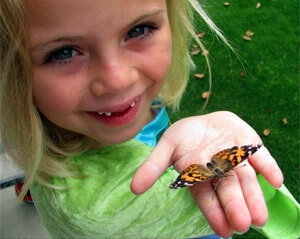 Children of all ages love butterflies. A wonderful way to learn about and to observe the amazing life-cycle of the butterfly is with Insect Lore's live butterfly garden. With this kit, you receive an order form for three to five painted lady larvae that are then shipped directly to your home. While you wait for them to arrive, you can set up the colorful butterfly enclosure and read the instructions for caring for your butterflies. After the larvae arrive, you will be able to observe them as they change to caterpillars, then to the chrysalis stage and then to beautiful butterflies, which you can release outdoors. While your insects are changing and growing, extend your experiment outdoors by creating an inviting garden in which to release them when they are fully developed. Butterflies are attracted to bright, sun-loving flowers that produce plenty of nectar. Receptors on their antennae and legs allow them to smell flowers and "taste" the nectar. Butterflies are attracted to red, yellow and purple flowers that are stable enough to support them while they eat. Here are some good choices: asters, bee balm, marigolds, milkweed, daisies, nasturtium, columbine, verbena and zinnia. In addition, some vegetables and herbs offer butterflies a place to lay their eggs. Here are some options: parsley, dill, chives, sage and carrots. Use a field guide to help identify what types of butterflies come visit your garden. Pay careful attention to which plants attract which butterflies. Use a notebook and colored pencils to sketch the butterflies and/or take photos of them. Notice any other places that attract butterflies, such as puddles in your yard or driveway, where they may be searching for other nutrients. Make butterfly nectar by mixing nine parts water with one part sugar. Boil the sugar water in a pan until the sugar is dissolved. Let it cool. Use the hammer and the nail to punch several small holes in the jar lid. Decorate the jar with drawings or photos of brightly colored flowers. Cut a thin strip of the sponge and insert through a hole in the lid so about a half-inch of the sponge sticks out through lid, and the rest of it is in the water. The sponge should fit snugly in the hole so that if you turn the jar upside down, it will not leak. If it does leak, use a larger sponge strip. To make a hanger, tie string or yarn around the mouth of the jar. Use two or more loops so that the jar will hang steadily when it is turned upside down. Fill the jar about three-fourths full of cooled sugar water. Put on the lid tightly. Hang your feeder upside down on a tree branch or plant hanger outside. Be on the look-out for butterflies and note your observations in your journal. Observing butterflies can be fascinating. Look for patterns and habits among the butterflies. What time of day do you most often see them? Does weather affect their habits?